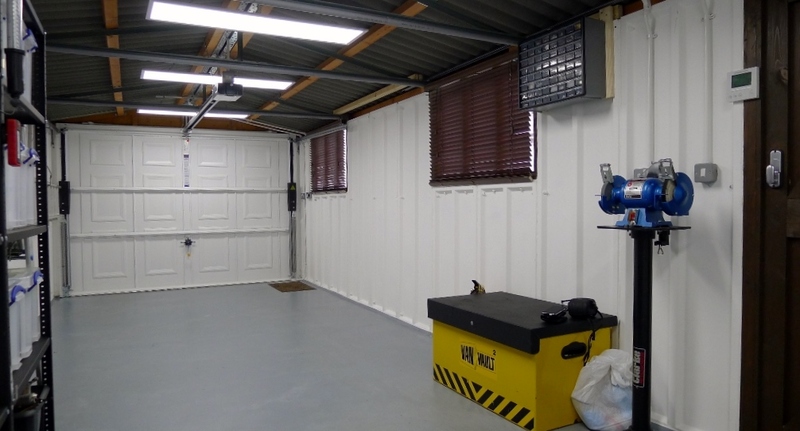 We often get asked what does the inside of the garage look like. 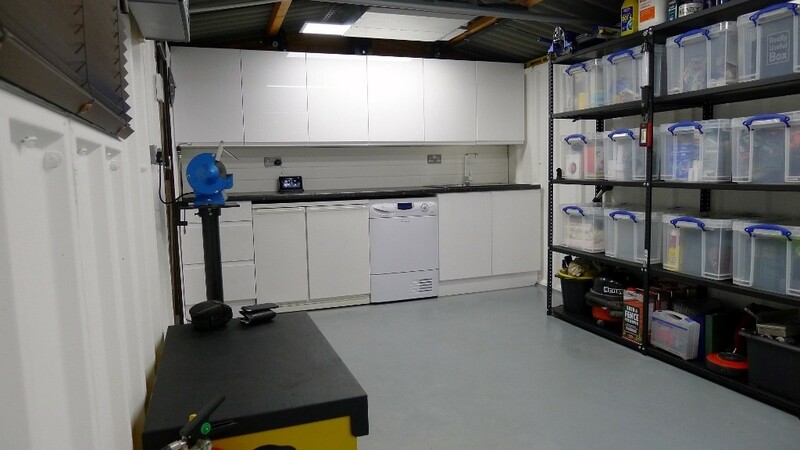 We visited a recently built garage and discovered the customer had made the back wall into a kitchen, painted the floor and walls and installed shelving and lighting. We think they made a very good job of the work too!